(TibetanReview.net, Jan17, 2015) – China’s fierce anti-corruption campaign, seen as a way for President Xi Jinping to assert and strengthen his power, had brought down more than 40 officials at the ministerial level and above, including four state leaders, in 2014, reported China’s official Xinhua news agency Jan 14. Altogether cases involving 68 high-level officials were under investigation or had been closed, a Xinhua report Jan 15 cited the communist party of China’s Central Commission for Discipline Inspection as saying. Sixteen senior army officers were also under investigation. And Xi’s move to strengthen and consolidate his power continues with the Jan 14 Xinhua report saying the war against corruption was far from over. It cited Xi as saying Jan 13 that “a landslide victory” had not yet been won, that challenges still remained. Xi’s biggest worry appears to be senior Party officials forming cliques to challenge his authority in order to protect their private interests. The Jan 15 Xinhua report said China’s anti-graft roadmap for 2015 underscored the importance of Party discipline and rules with the aim to discourage those forming cliques and factions within the Communist Party of China (CPC). The Jan 14 Xinhua report said the anti-graft drive under way since the current leadership took the helm in late 2012 had brought corruption down, but not out. It added that reshaping China’s political ecology remained an onerous task. The army appears to be a major focus for strengthening Xi’s power and control. The Chinese military had publicized a list of 16 senior officers, of corps level and above, who were put under investigation for alleged corruption in 2014, reported the official english.cri.cn Jan 16. It added that the list included some names that had been released before, including that of former vice chairman of the Central Military Commission Xu Caihou, the most senior military leader to be probed for corruption since 1949. 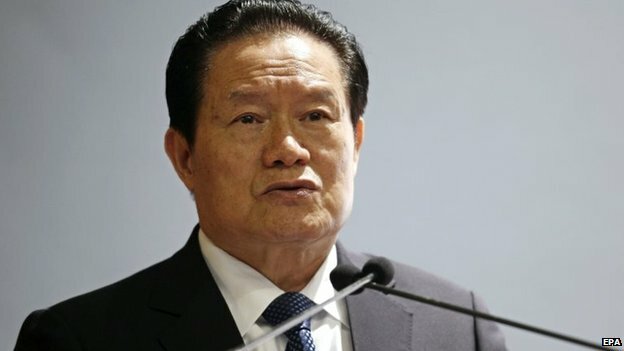 It added that the list included three cases that had not been made public before, including those of Liu Zheng, deputy head of the PLA’s General Logistics Department; Yu Daqing, deputy political commissar of the Second Artillery Force; and Fan Changmi, deputy political commissar of the Lanzhou Military Area Command. According to a washingtontimes.com report Jan 15, President Xi’s anti-corruption target were senior Communist Party officials, many of them deemed challengers to his leadership. It added that the other targets were notorious party debauchees deeply hated by the people on the street. The report called Xi a proven believer in the Maoist “mass line” campaign that involves the instigation of nationwide public sentiment to wage internal power struggles. It added that after coming to power in Nov 2012 as a seemingly meek successor to the relatively meek Hu Jintao, Xi had used this “mass line” tactic to establish himself as the undisputable strongman of the communist nation. In 2015, China’s anti-corruption campaign will extend beyond individuals and begin investigating state firms, Xinhua Jan 16 cited Xi as saying. All state-owned enterprises (SOEs) under the care of the central government will be subject to inspections and supervision will be tightened on SOEs across the board, the report said, citing the party’s Central Commission for Discipline Inspection (CCDI). The heads of Party and government departments, and state-owned enterprises will be held accountable for any serious corruption cases that happen under their charge, the report added.